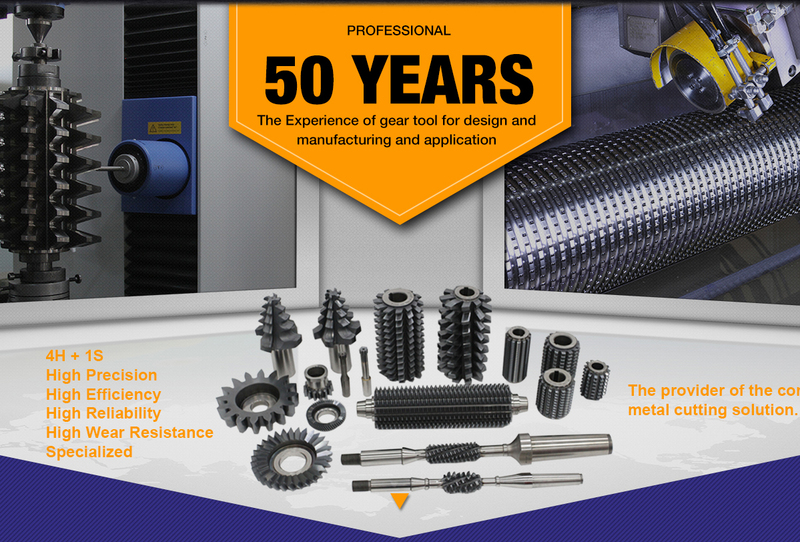 50 years experience of gear tools for design and menufacturing and application. In P.R.China,our gear tools occupation rate of market are more than 50%. 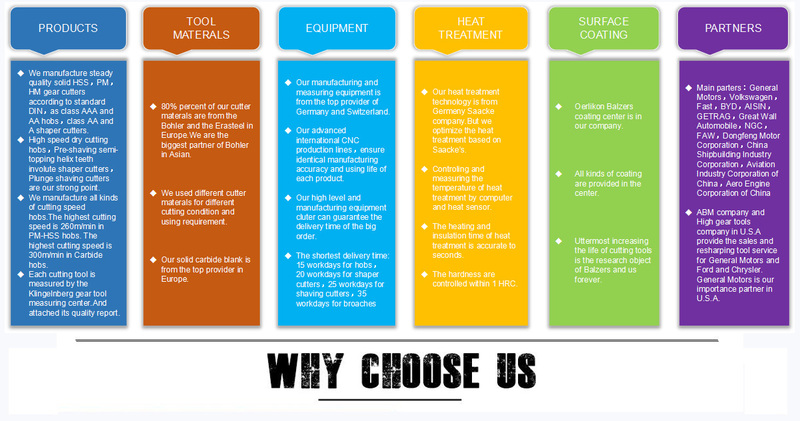 Our manufacturing and measuring equipment is from the top provider of Germany and Switzerland. Hanjiang Tool Company Limited was founded in 1968 which locates at the southern side of Qinling Mountains, the historical city Hanzhong, Shaanxi in the shore of Hanjiang River, and it is the signature enterprise among the Chinese tool industries. The HG brand technique and R&D level of the precise complex cutting tools is industry leader, the scale of the precise complex cutting tools occupies the first place in China inland, and the market share continuously and steadily retain the first position in China. Our company is the national large second level enterprise,national advanced technology enterprise, national research, develop, manufacture base of the large precise complex cutting tools, and we also had the honour won the "May First" Labor Award. The "HG" brand metal metal cutting tools that our company registered establish a very well brand advantage in Chinese tool industry because of its high precision, high speed, high reliability, long life and good looking features. We have about 280 varieties and six categories of cutting tools, our main products are: Gear Hobbing Tools, Gear Shaving& Shaper Cutters, Broaching Tools, Gleason Spiral Bevel Gear Cutters, Special Shaped CNC Cutting Tools, Special Cutters for Steam Turbines, Threading Tools, Drills, Milling Cutters and Reamers etc. The product is the leading position in Chinese tool industry whether its technology, producing ability or manufacturing level. Hanjiang tool has become the most powerful national tool brand. "HG" brand metal cutting tool is "Shaanxi famous brand products", and the company has passed the ISO9001 quality system certification, the national first level measure organization. Company largely equipped with international first-class precision CNC equipment and precision testing instrument series, adopt international advanced heat treatment process and Balzers coating technology, and independently develop also produce the series tool manufacture customized equipment. CNC hob grinder, CNC grinding wheel edge logoff trimming machine, CNC relieving lathe, CNC after molding grinding, grinding gear hob tester and has high precision, strong function, good applicability, is well received by the users. 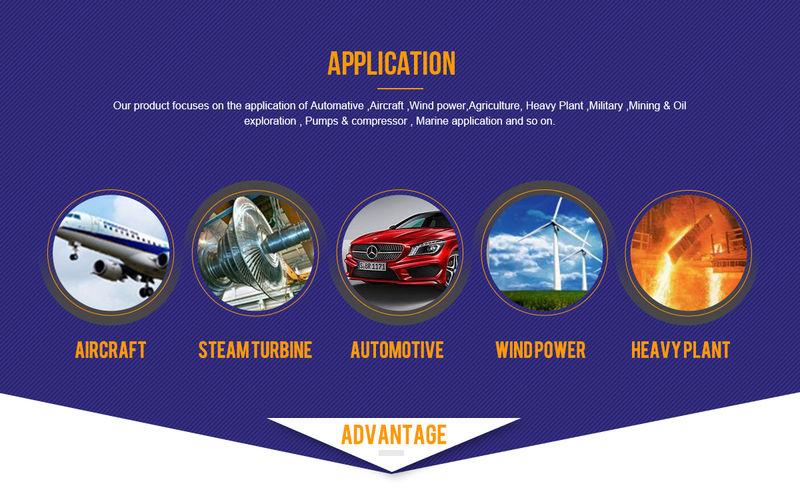 Company has the strong strength of the technology research and development,take the lead to develop a number of industry and national standards,and has more than 10 national patents, also undertake lots of national science and technology major special project.Our product technical standard can meet the highest international standards, and be in the leading position of the Chinese high-end complex tools. Company has a nationwide network of sales and services. 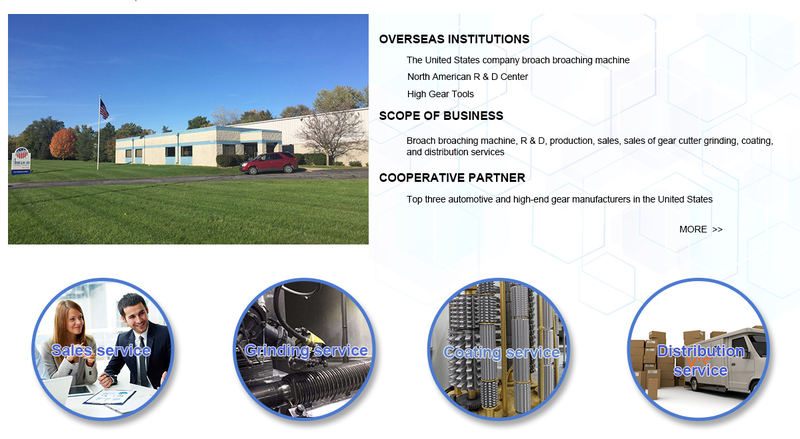 We have established multiple tool repair service centers, and also built the American Broaching Machine Company and repair service center in the United States. We have high-quality professional technicians and sales staffs provide high quality services in the national 17 large and medium-sized cities sales service stations and North America markets. Hanjiang tools co., LTD. could afford high precision, high efficiency, high reliability, and customized metal cutting tools for the automotive, aerospace, energy, engineering machinery, metallurgy, mining, petroleum, heavy machinery, machine tools, ships, locomotives, military industry and other industries. We warmly welcome friends from inside and outside of the country pay a visit to us.